CAMBRIDGE CITY- Ethel L. Seffrin, 102, passed away Wednesday evening January 30, 2019. A daughter of the late Jacob H. and Mary Almeda (Beatty) Bogard, Ethel was born in Sedalia, Ohio on November 2, 1916. Ethel was a graduate of Midway High School in Sedalia and has made her home in Cambridge City since 1939. She retired from General Telephone Company where she worked as a telephone operator. 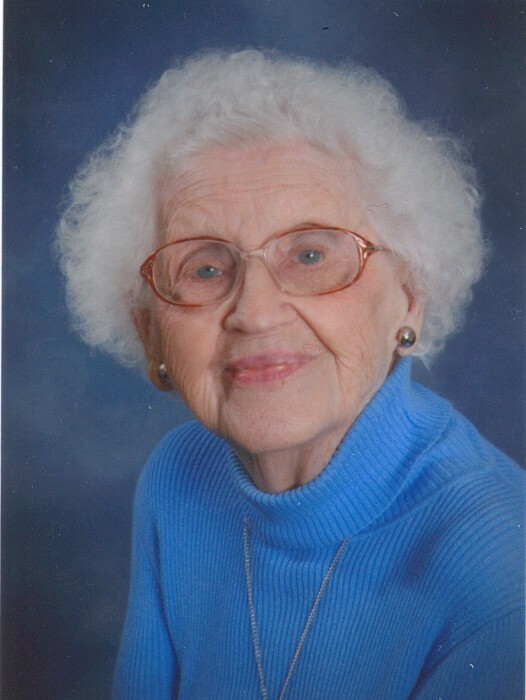 Ethel was a member of St. Elizabeth Catholic Church and a Life Member of Phi Chi Epsilon, Lamda Chapter. Ethel was a loving wife, mother and grandmother and was well known for her good cooking. In her leisure, she enjoyed antiquing and spending time with her family. Survivors include 3 children, Elaine Seffrin of Cambridge City, Marlene Kiracofe of Dayton, OH and Michael (Bonnie) Seffrin of Sidney, OH; 3 grandchildren, Patrick Seffrin, Courtney (Tim) Spangle and Elizabeth Seffrin; 3 great grandchildren. Ethel was preceded in death by her husband, Paul Seffrin on July 24, 1981. They were married at St. Elizabeth on July 20, 1939; 4 brothers; 3 sisters; granddaughter in-law, Susan Meyers: son in-law, Charles Kiracofe. Mass of Christian Burial will be at 11 a.m. Monday February 4, 2019 at St. Elizabeth Catholic Church in Cambridge City. Fr. John Hall will officiate. Burial will follow at Riverside Cemetery in Cambridge City. Visitation will be on Monday prior to the funeral mass from 9 a.m. until 10:30 a.m. at Marshall & Erlewein Funeral Home, Dublin.